Star Fox 64 was a big deal in more ways that one - not only did it illustrate Nintendo's burgeoning confidence in the world of 3D visuals, but it also featured a lot of voice acting - something the company had previously steered clear of. 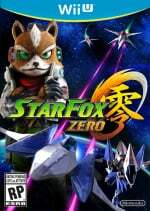 What's truly remarkable is that the recently-released Star Fox Zero uses many of the same voice actors to ensure consistency, and the folks over at Geek Melee have tracked down these individuals to talk about the process of voicing animals in the Lylat system. I've been lucky enough to do concert spots for Paul McCartney and hang with him on a few occasions. Ringo has been very kind over the years too! He actually called me on my birthday from the UK. No kidding. In my opinion you have 20/20 hearing. I don't know why they decided to change up Fox for this one. When you get hired for a voice job, you are alone in a booth. On the other side of the glass sits the engineer who makes sure the recording is proper. Then you have producers and directors who tell you what they want. Your job is to follow their direction. I try not to read social media crap but I saw some pretty harsh comments about my performance as well as a couple of other voice actors. This go around with Fox, we all made damn sure that the voice matched the original, as much as it could after all these years. I was 34 years old when we recorded the first game, so if you do the math, Fox has an AARP card now! I came to the recording session a little early and sat in with the sound engineer and the Bad Animals producer. I was the only cast member there—we each recorded our work separately. The Nintendo team was running a little late, so they asked if I wanted to lay down some practice tracks. I went into the booth, put on the headset and started doing triplets of the first line. The idea of triplets is to do the line three times without cutting, each with as much variation as possible so editors have lots of choices. I did the first set and the Bad Animals producer seemed to like it and we moved on to the second line. In just a few minutes we had worked halfway through the script and the Japanese team came in. They were young, well dressed and unbelievably apologetic. I'm not sure how much English anyone in the group spoke, but the Bad Animals producer told them we had done some practice tracks and wondered if they wanted to hear them. They did, and as I watched through the booth window, they listened in a very stony silence. They were all still standing and they put their heads together and conferred. After a few seconds, one of the Nintendo team looked at the Bad Animals producer and said in very halting English, 'uh… more excited.' The producer turned to me in the booth and said we were going to start over and to bring a little more to the next set of triplets. I had never seen or heard the Japanese version of the game, there was no monitor to give me any cues of what I was voicing. It just had to be 'more excited.' I did another set, bumping it up another notch. It was clear these lines were in the midst of some kind of combat. Even though Falco was cool and confident and had clearly seen it all, these lines were being delivered in the midst of a very bad day. After my next recording, they conferred again, and again the same team member looked at the Bad Animals producer and said, 'uh… MORE excited.' At some point I found myself almost wondering why we were doing triplets. Each time I did the line it seemed like I was 'at eleven.' We moved on to the second line and it became clear to me that if that script was any longer than the page and a half it was, I would have been hoarse for a week. Peppy and Andross voice actor Rick May runs voiceover and accent classes in Seattle and has recently starred as the Soldier in Team Fortress 2, while Lyssa Browne (Slippy Toad) has her own audio production company. Dave White - General Pepper to you and me - still does a lot of voice over work, but also featured in the TV series Grimm in a minor role. It was just a gig. I auditioned through my agent, got the job, and had no idea it was going to develop such a following. The piece goes into much more detail about the various actors and their roles since working on Star Fox, and is well worth a read. Well, I thought they all sounded great. There's a bit of difference in the way the N64 and the Wii U sounds, add a bit of age in and y'know, it's life. All in all, between the game and the voice acting from the OG's, I had the same excitement and giddiness I had back in 1997 all over again back when mom came home one Friday afternoon with StarFox 64. I loved it, still loving it. Yeah, about Fox's voice in Smash 4, I've said if from the beginning, it really just seemed like Mike West didn't have enough time to get in the role. It sounds fine for SF Zero, though. Holy cow....that little story about the recording sounds about as bad as I imagined how it must've been for Xenoblade, overall it's a solid dub but you can tell that they had no idea what was actually going on during some scenes when the lines were recorded. 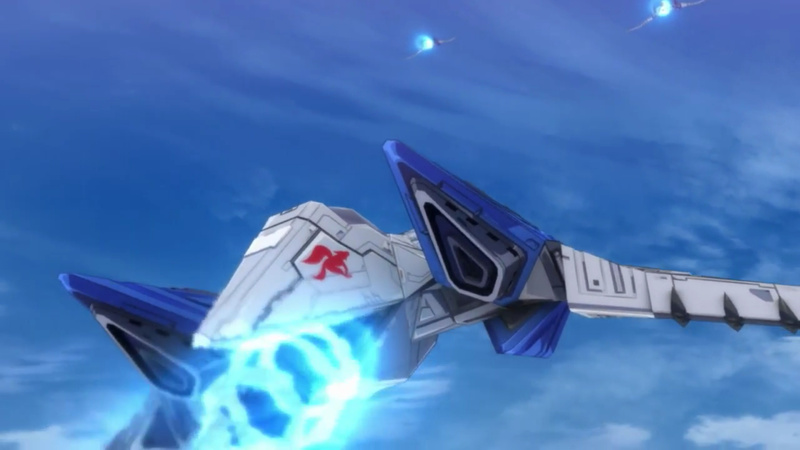 @Tsurii Regular Xenoblade on the wii or X? I thought West did just fine as Fox in Smash 4.... meh. Some are picky. Also, Slippy's voice actress has voiced a Spartan. The rest of the article mentions some more stuff like how two of the Falco actors worked in a stage play together and how Rick May had to reaudition for the role of Peppy in Star Fox Assault and didn't get the job. Great read! "They’ve also brought Green, White, and Browne back to reprise their staple of characters"
That's amazing. The voice actors sounds like a comic book squadron in their own right. Honestly I am amazed how well SFZ voice acting sounds especially through the gamepad. It really makes me feel like im a part of the game! But i also hear Peppy in Grippys voice i wonder if its the same person? I never understood why Slippy has to sound like a girl, despite being male? Yes, young boys are known for having high pitch voices, which become deeper over time, which is why females are commonly known for doing young boy voices (Dexter, Jimmy Neutron, Timmy Turner, Bart Simpson etc). Slippy on the hand is an anthropomorphic toad (unknown age), so it makes no sense why they would go down that path. I never really considered him to be a child. I actually prefer Slippy's Star Fox Assault voice (Mike McAuliffe) who in my opinion nailed it. I have the same problem with Tails as well. Now to be fair, his age is stated as 8 (in Sonic Heroes anyway), so I can understand why the go down the route of using a female voice actresses, but when they don't put a hint of male into his voice, it just ruins the character's image for me.